Leave a Comment on This Week in Hip-Hop: (WHY) Does Nas Lose? would be considered a loser, but here we are. 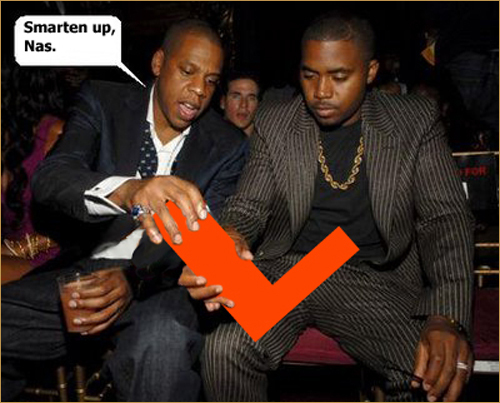 For some reason, hip-hop commentators love to single out Nas for almost everything he does–and slap a big, fat “L” on it. That is not to be confused with hip-hop legend, the late Lamont “Big L” Coleman. Big L was never a loser, because he struck men quicker than lightning. But Nas? If you let the internet–and several blogs even named after jabs at Nas (such as, well, smartenupnas.com) tell it, Nas has as much luck as the Detroit Lions or the 2013 Houston Astros. But where does it all come from? Byron “Bol” Crawford, an influence of mine, said in an interview for his book on the subject that Nas lost because of everything after Illmatic (shiny suits and crucifixes with Diddy, “Oochie Wally,” Kelis, not being featured in Def Jam: Icon as a playable character, etc.). Typing “why Nas lost” into Google treats you with a discussion from Boxden with Thirteen Points on Nas’ Losses. If they had one more, they could have matched Woodrow Wilson’s reasons for why World War I was good and bad for…the world. Granted, Wilson called for peace and the internet seemingly calls for Nasir’s head every time he opens his mouth, but you get the idea. There are a few reasons why he can be seen as a loser that I, personally, could ascribe to (if I were in Camp Nas-Lost-A-Lot). First, let us discuss his constant “switched demeanor” (I know that bar referred to Mobb Deep. Don’t try to troll the untrollable) and bouncing between revolutionary Nas, street Nas and “let’s make songs for the club” Nas. However, let’s take a look at pretty much every memorable hip-hop artist, even Immortal Technique to a degree. GOOD artists don’t/can’t stick on the same subjects for the length of their careers, lest they become Soulja Boy (Sorry, Boi-1da.net fam; Soulja is still pretty one-trick to me. He’s made some decent songs, but most of his verses still revolve around swag) or someone. Even LL doesn’t just rhyme (lyrics to both songs NSFW) about getting women and their undergarments in a bunch, even if that’s what he’s known for (that and also being punchline fodder for perceived missteps; that’s another post as well). 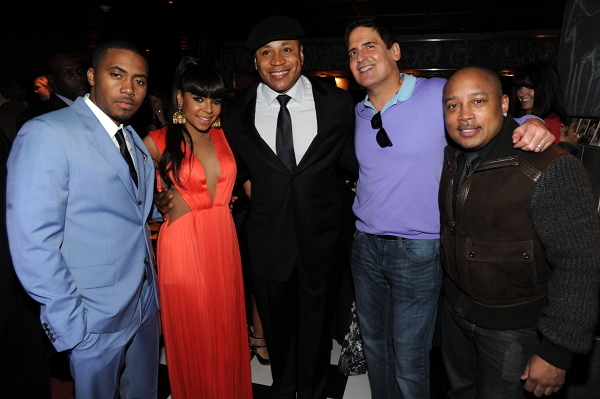 Plus this is one of the only non-shirtless LL photos I could find when searching “LL Cool J and Nas” on the Google. For others? It may be the fact that, after everything was said and done with the Jay beef, he eventually worked with–and under Jay. But, let’s be real here. The average rapper, regardless of how “conscious” and against the system they are, they’d rather be signed to a major label than do what I do and release everything–and I mean everything–independently. Note, of course, that I said “average,” because there are rappers that prefer the DIY method. As much as I sometimes dislike saying this, if you want your message to be heard, sometimes you need to go mainstream then lure them back into the “realness.” Or, at the least, get mainstream’s help. Others still could even argue that Nas loses because he had one undeniably “classic” album, Illmatic. At under 40 minutes, it did what most albums these days can’t do in twice that time. Keep in mind that most of these grievances, especially this one, are also brought up in Jay Z’s “Takeover.” “Takeover,” in some ways, acted as a launchpad for anti-Nas sentiments shared by some of my hip-hop blogging/commentating contemporaries. That doesn’t make ’em any less true, though. I am a Nas fan and I respect what he’s done for hip-hop. But, other than Illmatic, Nas often comes up with stellar concepts (HHiD, the N-Word/Untitled album, his double CD, even Life is Good to a degree) that tend to fail to deliver on their promises in some way that ends up damaging the album. For the purposes of this conversation, let’s look at Life is Good. Life is Good saw the return of Illmatic-era Nas (obviously older and more worn). It featured boombap beats, soul samples, Swizz Beatz, Noah “40” Shebib drums, and Amy Winehouse. It was a great album. It was a summertime banger. It still gets played in my phone from time to time. But saying it’s the rap version of Marvin Gaye’s Here My Dear? That is a bit off-the-mark. For starters, while both albums deal with musical icons after divorce, HMD showcased Marvin’s pain, anger and confusion regarding his divorce proceedings with Anna Gordy. 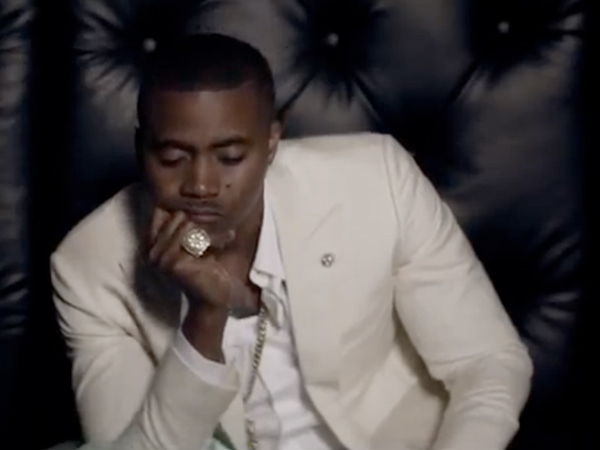 LiG touches on the disintegration of Nas’ marriage in a few spots. One of those, of course, is the cover. Secondly, HMD is, in some ways, the culmination of all of Marvin Gaye’s different musical–and personal–entities over his career. He showcases the broken heart, the burgeoning/potentially recovering addict, the confused star-crossed lover, and the revolutionary all in one. 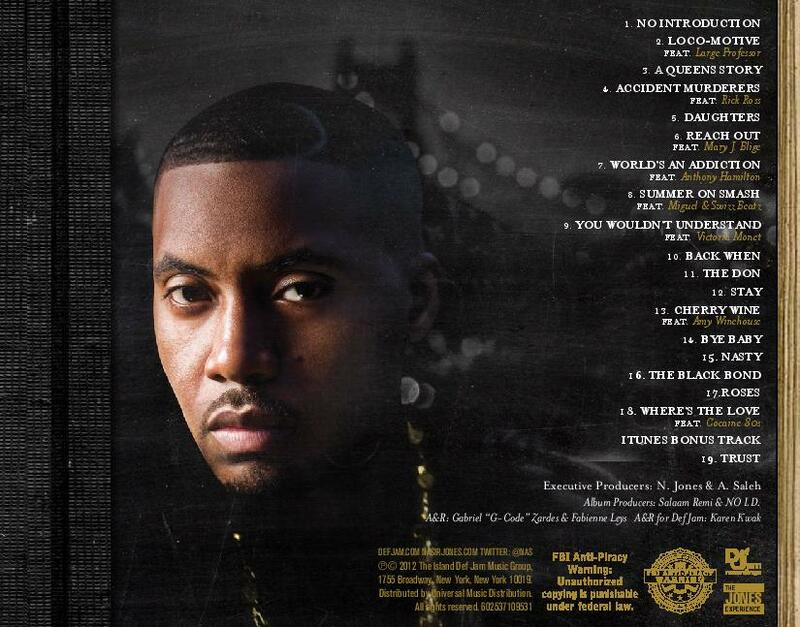 Nas, on the other hand, showcases a little introspective thought toward his career and his situation(s). Throughout most of the album, he’s telling stories. But he’s not telling his story. Essentially, Nas is the street poet. He’s the voice of the generation. He’s one of the God Emcees. But, twenty years in, he still often shuts listeners out of his own life. To me, this is one of his fallacies. I’m not saying everyone has to talk about shooting everyone else. That’s not what I’m saying at all. I mean that Nas is a great artist and a vivid photographer of inner-city life. But, he (often) doesn’t allow anyone to turn the camera around on him and that tarnishes his legacy in a sense. So, all in all, Nas should not be considered a loser, per se. Never that. However, he can–and rightfully should–be considered an artist that still doesn’t give everything that he should artistically, as he’d rather present scatterbrained efforts that attempt to tell everyone’s story. And besides, he’s lasted longer than most “Nas Lost” commentators could in music. That’s got to be worth something, right?